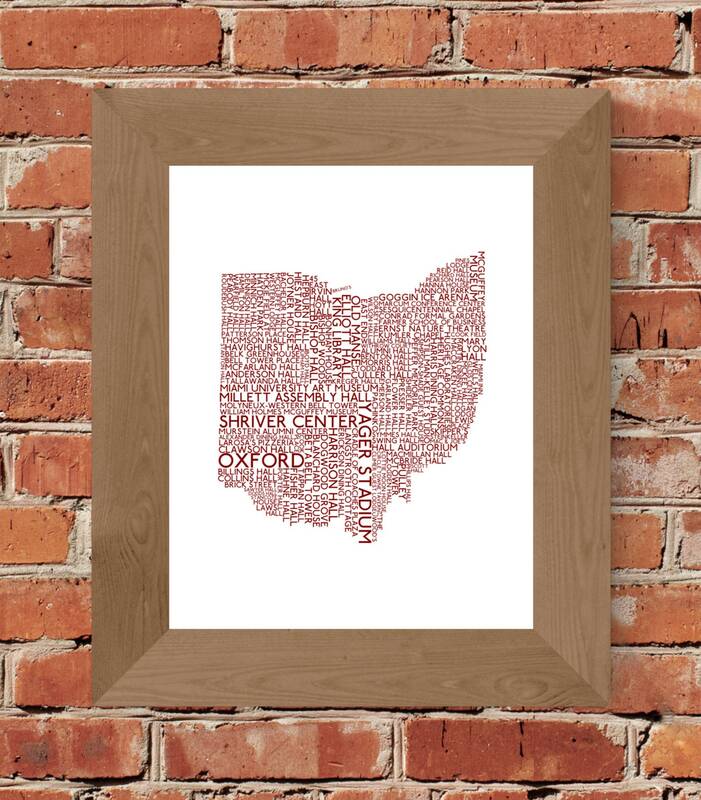 If you are a native of Oxford, or once walked it's college inspired streets, then this print is for you! 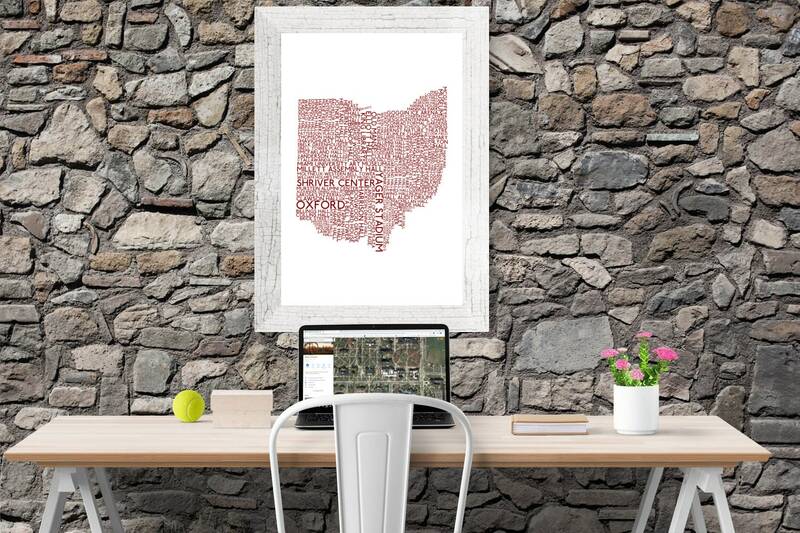 This print has got it all, from Yager Stadium and Shriver Center to dorms/college halls and all of your favorite college bars. 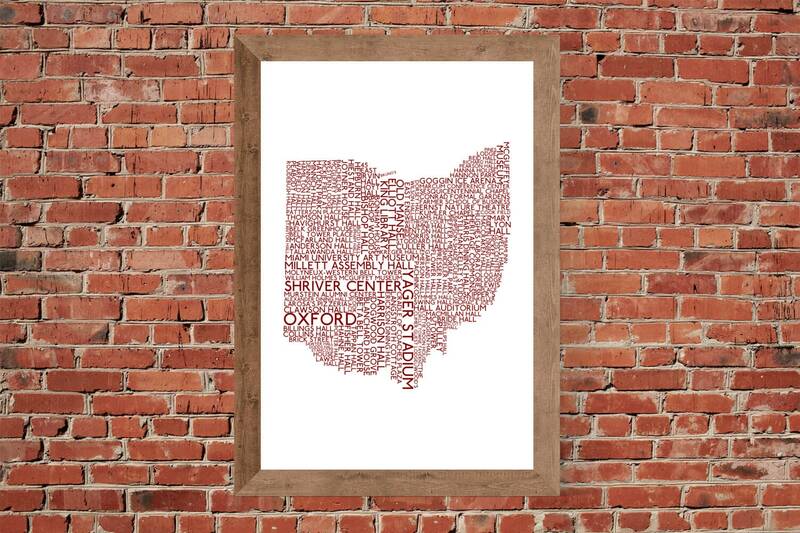 It's a perfect addition to anyone who embraces the college pride that is Oxford! 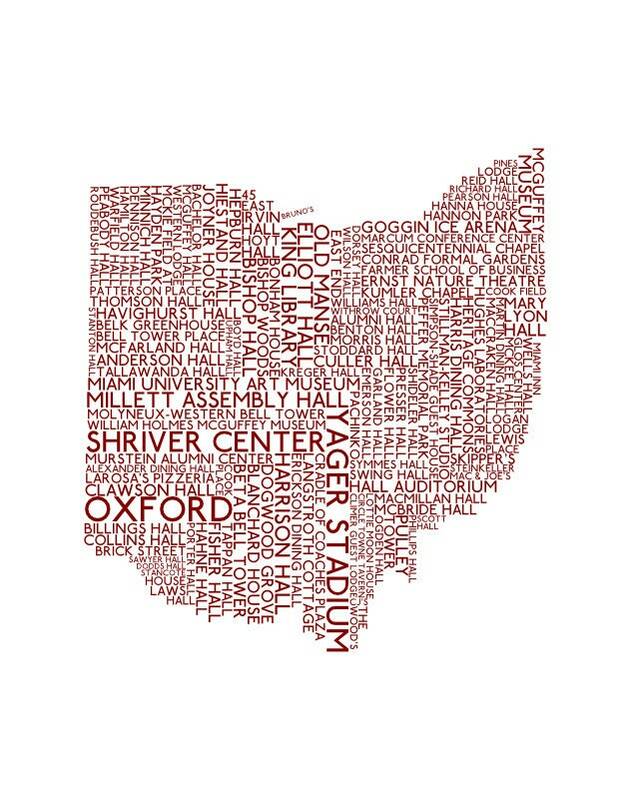 All your favorite places get a nod in this great off white and red print of Ohio made out of words associated with the Oxford college experience!